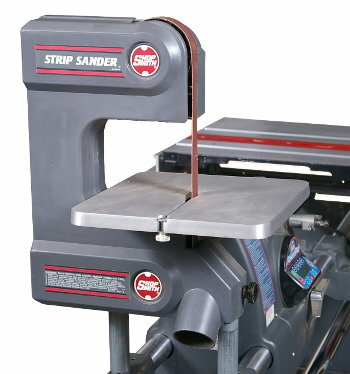 The Strip Sander is an often-forgotten, value-priced workshop addition that will save you countless hours of tedious hand work on a variety of woodworking tasks, as well as grinding, sharpening and polishing of chisels, other workshop edged tools and garden implements of all types. 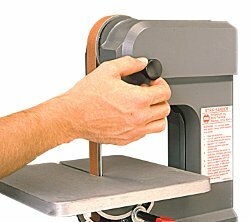 Use Your Choice of a narrow 1" or 1/2" belt to achieve the same kinds of work-saving convenience that you've come to expect from your full-sized stationary or portable belt sanders... just on a smaller scale. Oversized tilting table is 11" x 11", made of rugged die-cast aluminum and tilts from 0 to 45° for precision beveling or working on sharpening jobs. 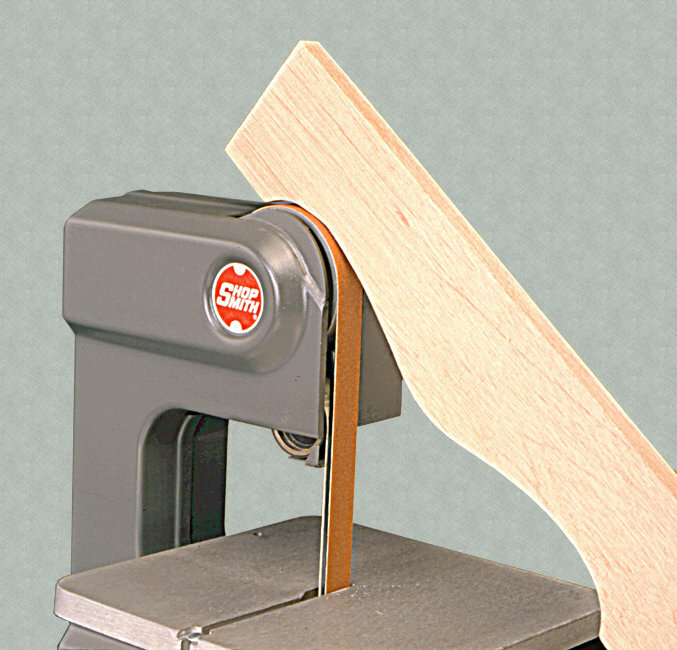 Its generous size provides plenty of rock-solid support for your most critical tasks. Interchangeable Flat & Curved Platens support the belt during straight or curved sanding or grinding jobs. You'll get both 1" and 1/2" flat platens plus a 1/2" radius curved platen... and can even remove the platens completely for unsupported light sanding of delicate workpieces. Exposed Upper Tracking Wheel lets you sand the flowing external curves of valances, decorative trim and similar projects. 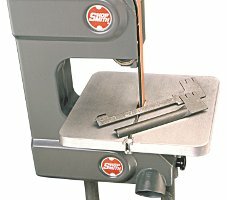 Simple Tracking Adjustments & Automatic Belt Tensioning make using this machine virtually hassle-free. A quick twist of the single tracking knob keeps the belt running straight and true... while the spring-loaded tracking wheel automatically keeps the belt on-track, without fiddling. Built-In Port lets you use your in-shop dust collector to capture dust, filings and other debris before they become a problem in your shop. 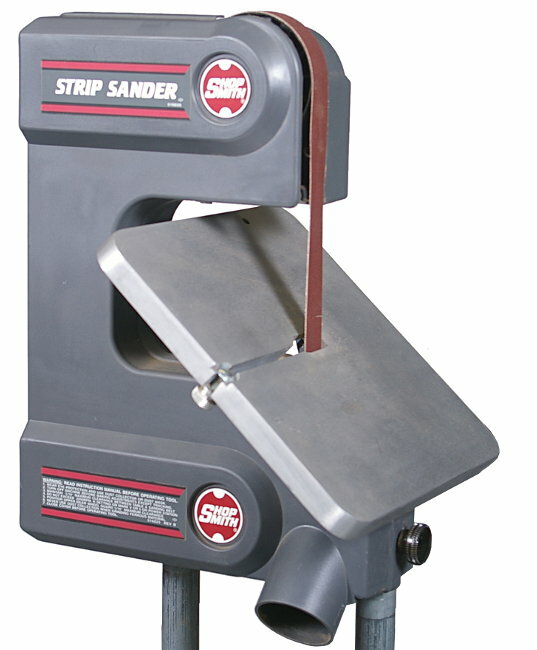 Belt Sizes 1/2" (or 1") x 42"
Maximum Stock Thickness External Sanding 4" - Internal (Piercing Cuts) 3-1/4"
Get the Shopsmith Strip Sander with the Chisel Sharpening Attachment. In addition to regular features of the strip sander, you gain the ability to put a razor-sharp edge on your bench and lathe chisels. 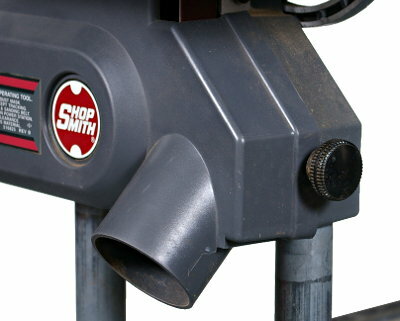 Order the combination price and save $20.00 off the total of the individual items.